Why different countries have different voltage? Why voltage in some countries is 220V (208V, 230V, 240V) and 110V (100V, 120V) in some countries? Why can't we have the same Voltage and what are the Pros & Cons of using 110 V or 220 V in their Respective regions? Every country concluded on one which they felt it was best for them, suitable for their country, and what they can handle. For us to have the same system it might be never, as people we are used to the old systems, it will be hard to change as we are afraid of change, and if you don't have a problem using system why changing it? That's why engineers did design frequency converters to maintain the V/Hz according to a country's V/Hz Grid. E.g. like that one of Japan. With Voltage rating is as with religion. The Semitic groups prefer Islam, Hindi prefer Budda, Malasian prefer other. There is one standard IEC 38 where there is a voltage rated provided. We have Global World, but at this world we have superpower and small countries. Every superpower provide its rules. That is why you have no one voltage level, and 50Hz or 60Hz. These countries who cooperate with US has 110 volts and 60 Hz; who is cooperating with Europe has 230 Volts and 50 Hz. There is no another idea. US is country where on beginning the same as to Australia came the rubbers, murderers and thieves. Latter because they need bread, they started to be a farmers and salesmen. Today you have the beautiful countries. But voltage stayed as it was. 110 Volts 60 Hz, because these people have no time to go to schools. They came to business not to schools. 110 Volts is lower and it is more difficult to kill men or women, and because they are not educated it stayed. The explanation was came from one of my Boss, when I asked why in US still is 110Volts, 60 Hz, not as in Europe the 230Volts, 50 Hz. They said. That is why we have still inches and foot, the AWG not sqmm, the same we have acres not sqkm. We are different then World and we want to be here as before. It was not right way. And the best sample you have with IT. In IT you have no standard all is individual. And, we want to stay forever even screws has inches: the imperial, the UK, the metric inches and so on. We are different. When you want something to sale to us. You have to do as we wanted, not you. Why the countries are not coming to one standard voltage and standard cycles. The question for me is from 1954, and I do not understand why. I think it is just mentality problem. 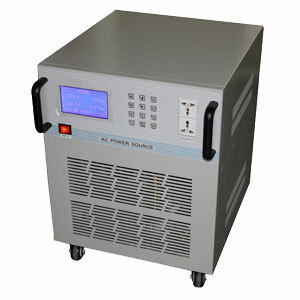 In European Countries at Continent we have standard voltage 230V, 50Hz. With one exemption, the UK island has voltage 240Volt, 50Hz, I believe that because they are the Imperial UK, no technical explanation and necessity. They want just be different. Even when I have information as per manufacturers point of view, I would want to know if some of you have literature about motors designed for a specific voltage and frequency, when operate in different voltage and frequency network. What happens to main values? Such as torque, cos phi, efficiency and others? I will appreciate to all your help. The answer is not very simple as there are 4 possible combinations. 1. Lower voltage and higher frequency. 2. Lower voltage and lower frequency. 3. Higher voltage and lower frequency. 4. Higher voltage and higher frequency. For each case depending on the variation of the voltage or frequency the performance of motor varies. Out of the 4 cases , case 2 and case 4 are better assuming the deviation is not very high ( specially the high voltage from insulation point of view and high frequency from mechanical point of view ) . These two cases result in constant flux and hence constant torque. Power factor variation is not very significant. Efficiency can be higher for case 2 compared to case 4.